Boston gets a power forward for its playoff push. 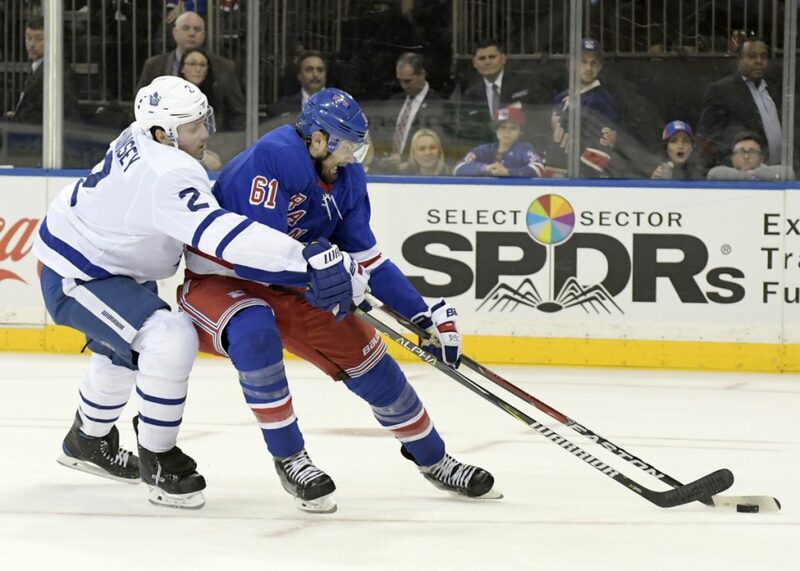 BUFFALO, N.Y. — The Boston Bruins continued solidifying their playoff push by acquiring forward Rick Nash in a multiplayer trade with the Rangers that leaves New York retooling for the long-term future. The Bruins won the Nash sweepstakes by acquiring the 33-year-old forward in a deal on Sunday, a day before the NHL’s trade deadline. The Rangers acquired the Bruins’ first-round pick in this year’s draft as well as forwards Ryan Spooner and Matt Beleskey, defenseman Ryan Lindgren and a seventh-round pick in the 2019 draft. This marked the second trade between the two teams this past week. On Tuesday, the Bruins acquired veteran defenseman Nick Holden for prospect Robbie O’Gara and a draft pick. For the Rangers, trading Nash further signals their plans to overhaul the aging core of a roster that helped New York make the playoffs in each of the previous seven seasons, including the team that lost the 2014 Stanley Cup Final in five games to Los Angeles. And with Nash off the market, the focus of trade attention also turns to whether Sabres forward Evander Kane and Ottawa Senators defenseman Erik Karlsson will also be dealt by Monday afternoon. Kane has already acknowledged he expects to be traded, and was held out of Buffalo’s 5-1 loss at Washington on Sunday. The Rangers took the same approach with Nash by having him sit out their previous two games to avoid the possibility of getting injured. Spooner is expected to make his Rangers’ debut against Detroit.